Universal Dependencies have gained wide acceptance as universal standard for syntactic annotation. In this talk, we discuss the conversion of an existing treebank for Dutch to UD. In particular, we will compare two methods for expanding UD with enhanced universal dependencies, an annotation layer that promises to be more suitable for semantic interpretation and that is often more faithful to the underlying annotation. One approach is using UD annotation only (Schuster et al, 2018), while another takes the original treebank annotation as starting point. The UD initiative currently contains data for over 70 languages. In the second part of the talk, we discuss an initiative to bootstrap a UD treebank for a new (low resource) language, Frisian, by means of annotation projection from Dutch. 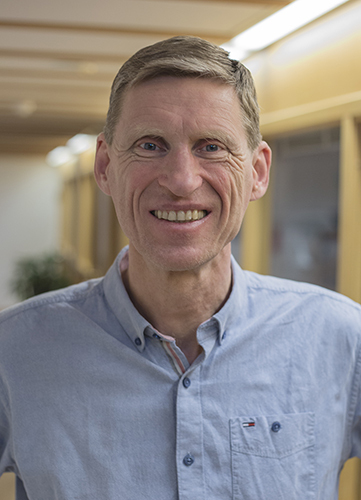 Gosse Bouma is an associate professor in Information Science at the University of Groningen. He specializes in applications of natural language processing. He has lead projects on question-answering, coreference resolution, discourse analysis, and geographic information retrieval. He was co-promotor of 10 PhDs. Recently, he has worked on information extraction, universal dependencies, and linguistic trends in large (social media) corpora.